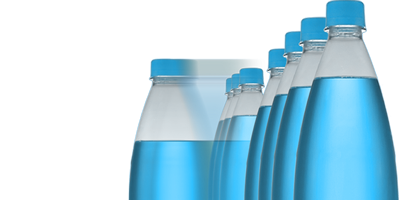 Equipping bottles accurately: precise labelling. 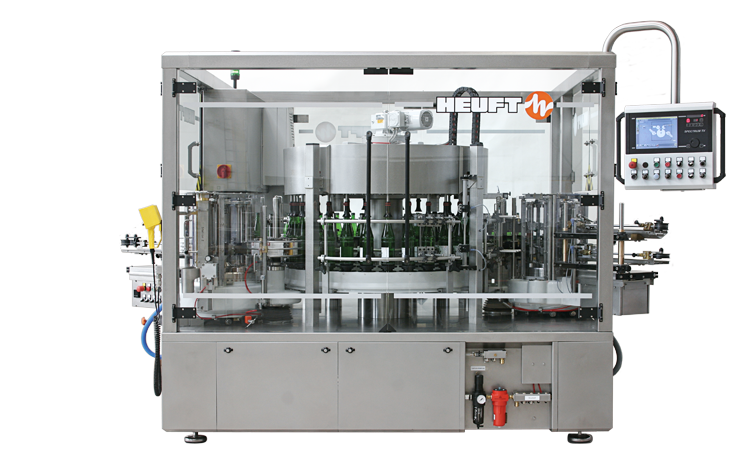 The HEUFT TORNADO W, designed for an output range of up to 72,000 containers per hour, impresses with its outstanding precision when applying labels. The interaction of a well thought-out design and durable components ensures highest reliability and quality. Changeovers, cleaning and maintenance work can be carried out rapidly and smoothly with the labelling machine. 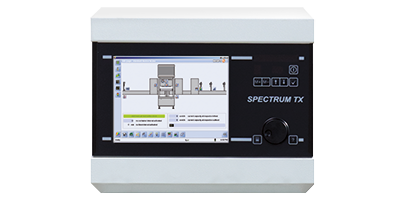 Integrated inspection modules safeguard the features and quality of the final product sustainably. 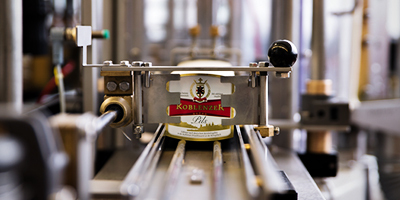 It carries out a fine adjustment of the bottles with millimetre accuracy for maximum labelling quality as the HEUFT TORNADO W flex with servo technology – and particularly easy and fast brand changes. Applying labels perfectly: exact full container dress. 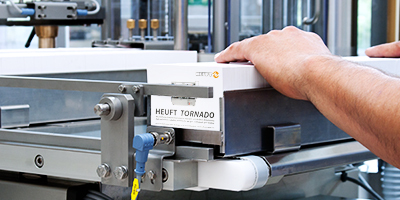 Body, collar, back, neck ring and closure labels: the HEUFT TORNADO W applies them reliably, carefully and precisely. 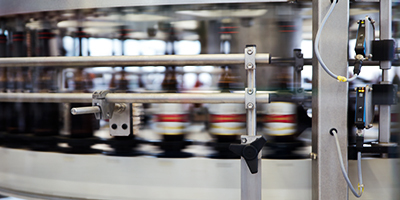 The bottles are transferred smoothly to the carousel which guides them past the individual labelling units. Especially developed centring elements secure them in the course of this. Meanwhile the glue segments are coated with a quantity of glue which can be exactly adjusted. Therefore each of them takes precisely one label. This is peeled off carefully and the side with the glue is gently pressed onto the bottle. 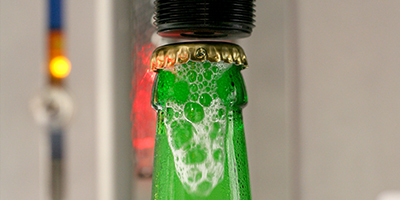 The bottle platforms are equipped with their own gears so that these rotate harmoniously. Therefore each individual label is applied precisely. Double-checking, examining and verifying: the HEUFT TORNADO W can do more than "just" apply labels. It also checks the results of its work during the same work process. 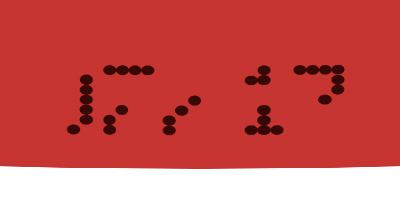 The presence of the labels is checked using sensors. 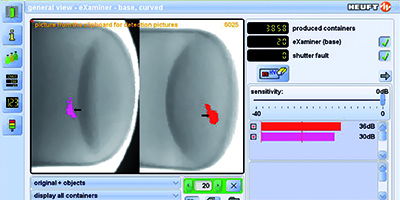 This direct quality assurance can be extended by numerous other checking and inspecting functions upon request. Uncomplicated, time-saving and reliable: the HEUFT TORNADO W not only keeps time and personnel requirements extremely low during running operation. Brand and program changes are also dealt with fast and easily: no tools whatsoever are required in order to replace the change parts. 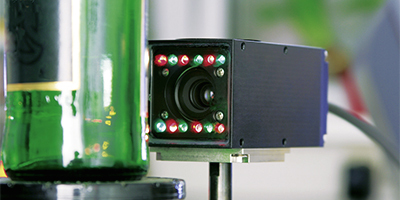 The vertical adjustment of the machine head is carried out just as automatically as the correct positioning of the sensors for checking the label presence. This saves human resources and reduces unproductive downtimes to a minimum. 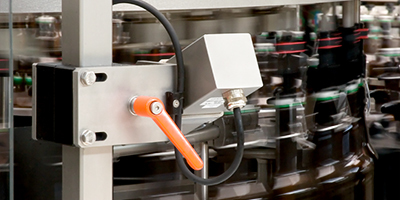 Central, automatic and economical: the correct amount of grease is applied to all the moving parts of the labelling machine so that everything always runs like clockwork. 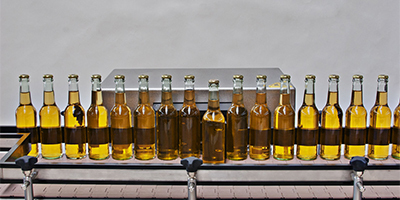 The integrated central lubrication system greases the main bearings and the rotary gears for the bottle platforms and an oil pump the labelling stations. A special labyrinth seal prevents water entering the closed oil system in the course of this. This ensures the durability of all the components sustainably. Complex maintenance work can therefore be dispensed with. Servo technology changes the machine into the HEUFT TORNADO W flex. It then scores points with even more flexibility. Because its rotating cam is no longer activated mechanically but electronically with servo motors. 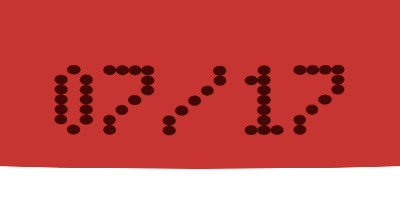 This makes it programmable according to the brand so that brand changes can be dealt with fast and easily. 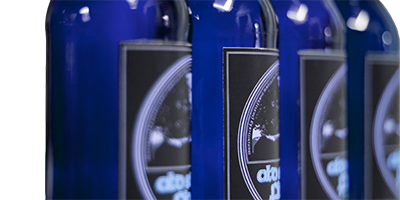 In addition, this flex technology together with precise camera technology achieves a fine adjustment of the bottles with millimetre accuracy for even more precision when applying labels. 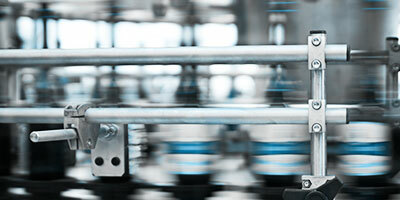 The automatic magazine feed (AMF) makes a non-stop labelling operation possible. 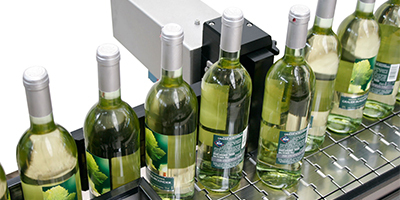 The servo-controlled add-on module increases the label stock and therefore minimises the need for manual intervention: a new magazine is simply pushed into place during running operation when a magazine is empty. Standstills are therefore sustainably avoided and human resources effectively saved. 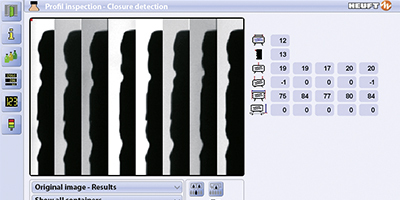 Special detection units check the fill height and the internal pressure. 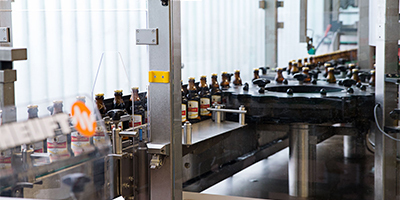 The clean in place function saves time and supports the employees because it cleans the labelling stations automatically without the time-consuming dismantling of individual components. Solid, robust and low-maintenance: the HEUFT TORNADO W is made of stainless steel with galvanized components. All the moving parts of the low vibration machine are almost non-wearing and therefore very durable. Extremely low maintenance requirements. Thus the rubber parts of the glue segments are vulcanised and dimensionally stable. This ensures the exact positioning of the labels just as maximum ease of servicing and minimum maintenance requirements. The wear and tear of the specially developed centring heads is also extremely low. The centring bells can be replaced quite simply in one easy movement. 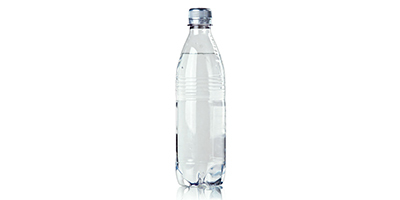 All the components which come into contact with the containers are made of plastic. This keeps the noise level during the labelling process to the lowest level. The result: a solid, durable and easy to service construction. Modular, individual and custom-made: the HEUFT TORNADO W has different equipment options depending on the ambient conditions and the on-site requirements. 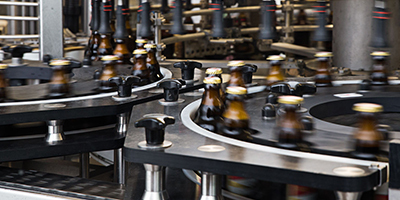 Three different basic models are available for line speeds of up to 36,000, 54,000 or 72,000 bottles per hour. The wet glue labeller is available as a straight-through system as well as an extended version for parallel transport. Furthermore its modular construction provides numerous other options in order to fulfil the customer's specific requirements exactly.